If you’re still heartbroken about not winning a pair of the Nike Mag self-lacing sneakers, you might want to skip this video. Super Deluxe hunted down “Chris,” who was lucky enough to snag one of the only 89 pairs, and now treats the sneakers with more care than he would a newborn baby—and with good reason. 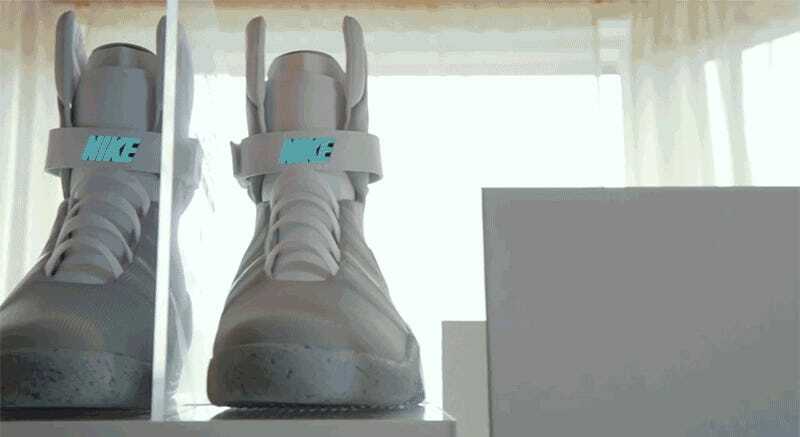 As Chris reveals, another pair of the ultra-rare Nike Mag sneakers recently sold in Hong Kong for $104,000. As fun as it would be to show up anywhere wearing a pair of self-lacing sneakers, Chris, who started getting offers the moment he revealed he had won the shoes, does intend to sell them to a desperate collector. You’d probably treat a pair of shoes potentially worth over $100,000 exactly the same way.